The big data and data analytics market will experience double-digit growth through 2020, per IDC. Businesses are seeking to apply this avalanche of new data in more areas, such as apps, partner portals and customer websites. Embedded analytics is the integration of analytical content and functionality into broad categories of user interfaces to provide customized insights on data for different audiences. 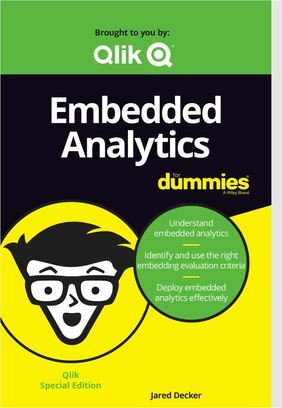 Read this e-book, Embedded Analytics for Dummies, to learn more.